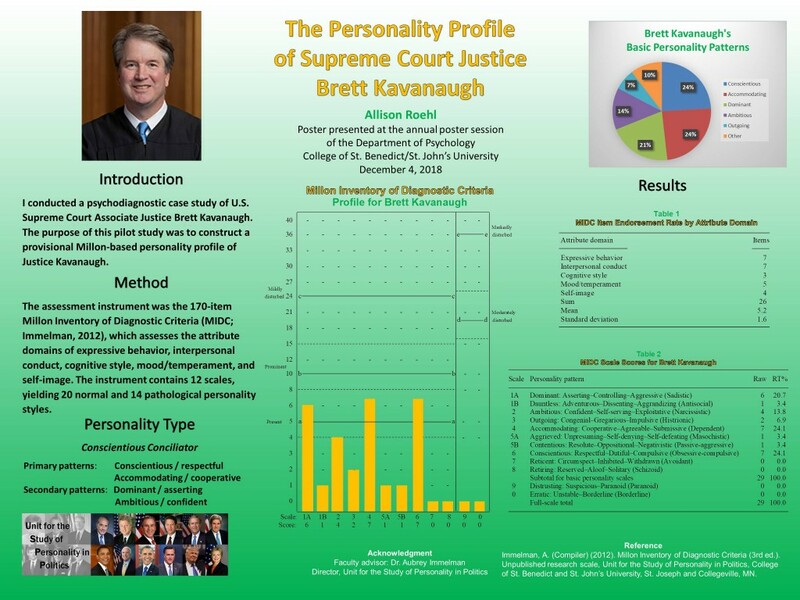 More than a decade after the study was conducted, the Unit for the Study of Personality in Politics has publicly released its personality profile of U.S. Supreme Court associate justice Clarence Thomas. The report was prepared for the Washington Post’s Kevin Merida as part of the background research for his book, with Michael Fletcher, Supreme Discomfort: The Divided Soul of Clarence Thomas (2007). 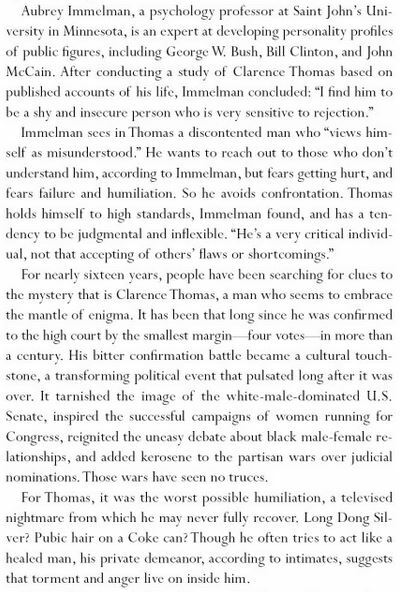 Justice Clarence Thomas’s primary personality patterns were found to be Contentious/oppositional and Reticent/inhibited, with secondary features of the Conscientious/respectful pattern. 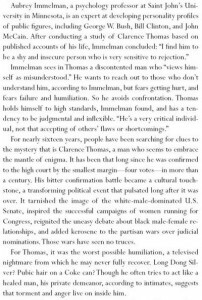 The amalgam of Contentious and Reticent patterns in Justice Thomas’s profile suggests the presence of an adaptive, nonpathological variant of Millon’s conflicted avoidant syndrome. People with this personality composite seek social acceptance while simultaneously anticipating rejection and disillusionment. They have a disproportionate fear of failure and humiliation, but see little alternative but to depend on supporting persons and institutions, which kindles resentment. To protect themselves from the feelings of anger and anxiety prompted by this inner conflict, they tend to withdraw from social interaction or public view. 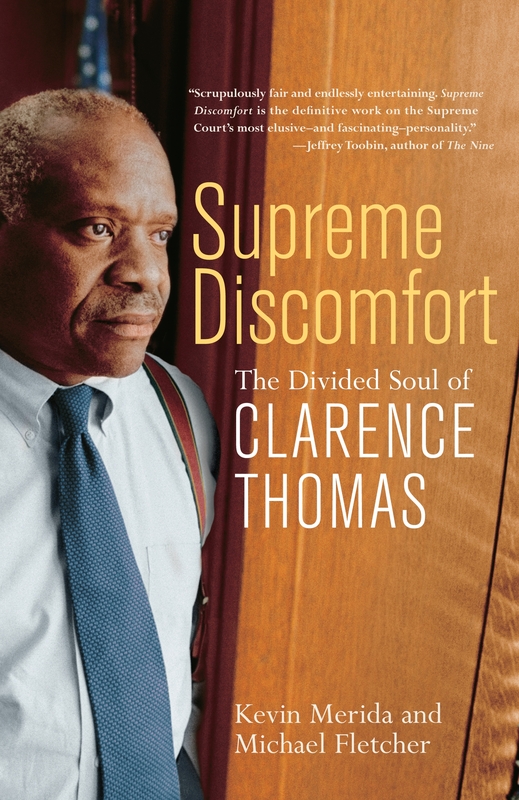 The major implication of the study is that it offers an empirically based personological framework for understanding the enigmatic Justice Clarence Thomas, who claims to be untroubled by the harsh judgment of his critics while simultaneously casting himself as a besieged victim. In truth, he is hypersensitive to rejection and deeply resentful of his detractors, yet his strong need for acceptance and respect make it difficult for him to confront his critics directly, which carries the risk of further alienation.